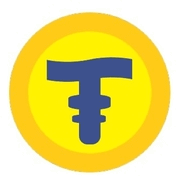 Description: TIMECOIN is a non-rewritable standard token based on the Waves blockchain. It is decentralized and completely anonymous, which wants to modernize and evolve payment and exchange methods. It was born from an idea of ​​two scholars. It is a new project, young and modern. Investing in this cryptocurrency means investing in free time. It aims to be a financial benefit and a payment method in other stores. you can buy them with BitCoin, Ethereum and Litecoin. TIMECOIN is the fact that the investments will be completely anonymous because the token can not be purchased with the FIAT currencies. We have 2,000,000,000 TMC available for the market and for charity. when it will be the ico: 1,200,000,000 of TMC will be put up for sale, while 300,000,000 of TMC will go to charity. the more people will participate in the project, the greater the value of the token will be.